Our first day of sailing consisted of voyage preparation. This included tying everything down and expecting the worst sea conditions. Pete and I managed to get the wet lab set up for the experiments that we will be conducting. We are trying to find out how the biology in the Tasman Sea is affected by the internal waves through nutrient-enriched incubation experiments. Unfortunately, we had a minor setback this morning when we found out that one of our nutrient solutions had leaked! We now do not know the concentration of liquid that we are working with, and will have to do some analyses to determine solution concentrations once we get back to Hobart. Luckily, this is something that we can find out later on. Once we set sail, the afternoon was very relaxed as most of us tried to find our sea legs. 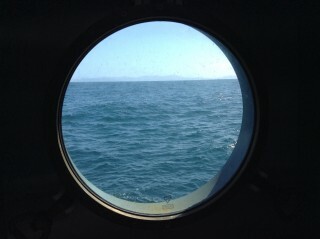 Considering this is my first time on a big voyage, I am feeling slightly queasy – hopefully that will pass. After dinner is when the excitement started. The practice launch of the CTD was very eye opening. A task which looks simple – like launching a device from a ship, requires a lot more attention than you think. 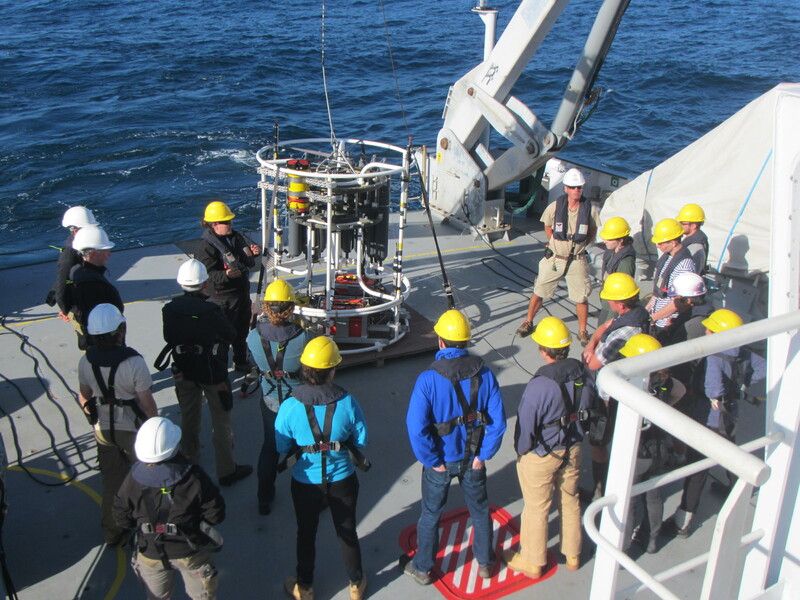 There are a lot of things to remember, once you get a detailed tutorial about how to launch the CTD safely. 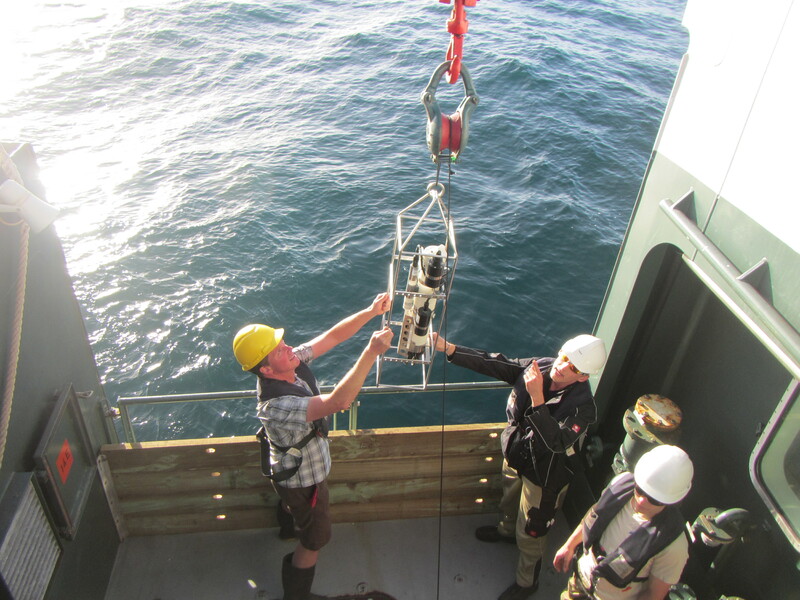 After recovering the CTD, Pete and I tested the smaller CTD that we will be using for our own nutrient and phytoplankton analyses. 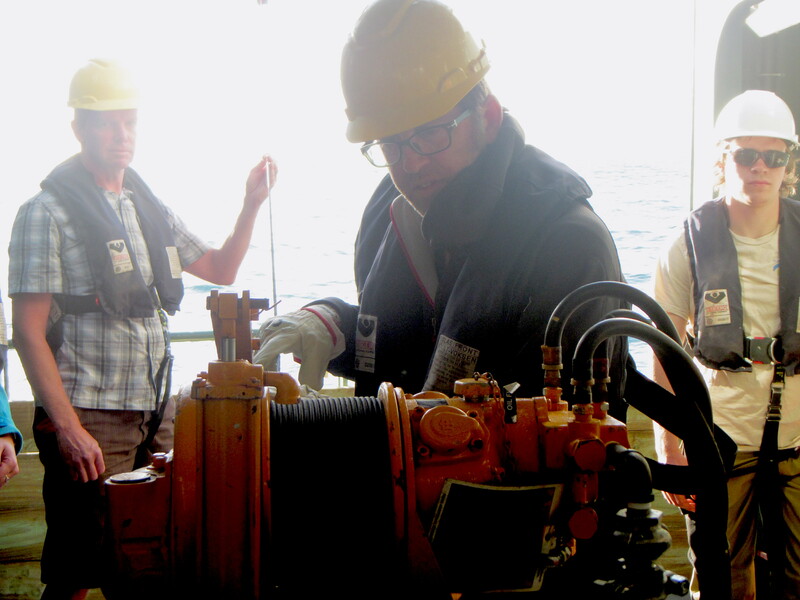 I personally think this was a harder exercise than the bigger CTD, as we have a tiny winch that requires extreme concentration to re-spool. 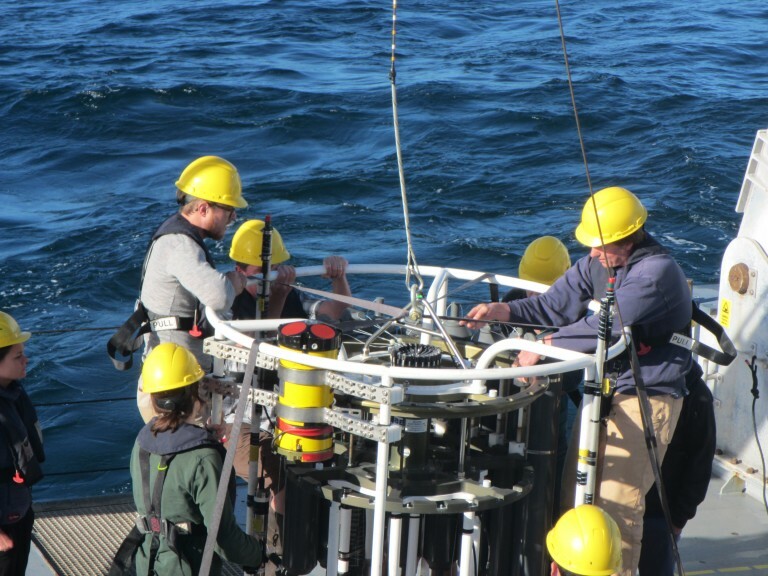 If the cable doesn’t lay correctly on the spool, it may get stuck and break when we try to deploy the CTD the next time. Not only were we able to test all the equipment needed for this voyage, but, we also managed to have some entertainment from a pod of local dolphins. Today was only one of the many busy days that will be had on Falkor!